The 2014 North American International Auto Show in Detroit Michigan will be featuring new concept cars, debuts of production vehicles and gives you a little sneak preview of what is in mind in the years ahead. 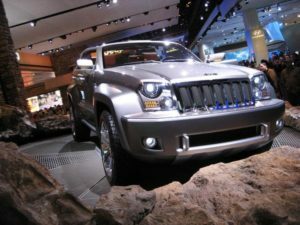 This auto show by far is one of the biggest events that is held yearly in Detroit and in North America. An overwhelming crowd of visitors is anticipated to show up each year, regardless of the chilling weather conditions. The tickets are being sold online, and at Cobo Hall where the event is being held. Pricing on the tickets varies depending on what day and time that you decided to attend. There are plenty of spacious parking garages and shuttles running during the show. If you are planning on attending the show there is plenty or restaurants, hotels, entertainment and casinos in a close radius. Certain days are not open to the public due to the press preview day, industry preview day and a charity event day. On the day of the Charity event all of the money is raised for local children’s charities. Then there are days reserved for the public to come in and visit. There are many sponsors that host the show which makes it turn out spectacular year after year. The top premier sponsors for this year are Delta, Johnson Controls, Denso, Pure Michigan, KPMG, Michelin and ZF. Some of the new cars that are going to be at the auto show are looking to be a big hit for all. Everyone is patiently awaiting to see the new 2015 Chevrolet Corvette Z06 for its top performance and for its amazing power. The Ford Mustang is showing off its modern style looking body with a turbo 4-cylinder engine. High expectations is what the Mercedes-Benz GLA45 AMG has to offer. Featuring a bold and sharper looking outside and a new feel of luxury in the inside. The Subaru WRX STI will be arriving at the dealer ship early spring, and it is more aggressive, quicker and very sharp looking. Every single year this show gets bigger, better and it truly shows how far we advance into technology and into the future.